Remember the watermelon experiment we blogged about in January? Well, our experiment has borne fruit! 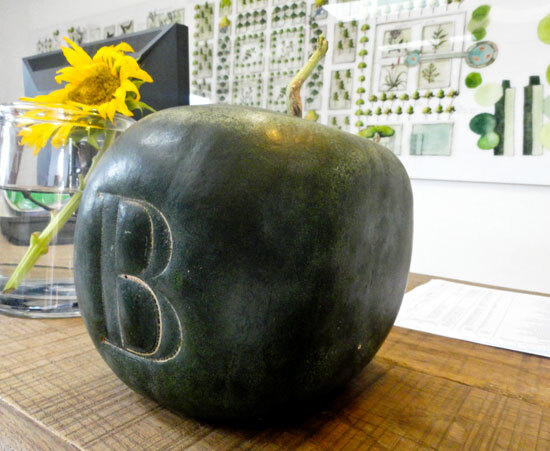 Meet Sugar Baby – the watermelon we planted on 15 October 2011, and picked on Monday. 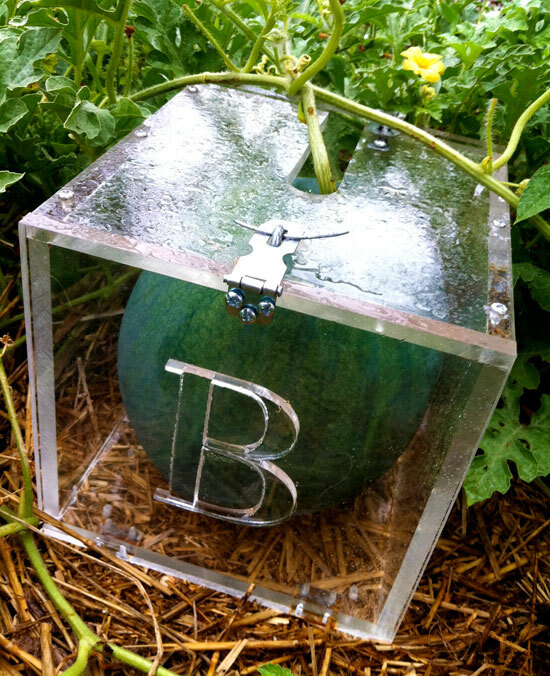 In between the planting and the picking, we placed Sugar Baby in a Perspex box with a “B” debossed on the inside, and then on Monday, when we saw Sugar Baby starting to break through the box, we knew it was time to harvest. We love our square watermelon!